I'm building a Mooer pedalboard! So far: "Micro Looper", "Reecho", "Pure Boost" and this time . . the "Blues Mood". (Today ordered the last three of my board - "Slow Engine", "Funky Monkey" and "Sky Verb".) PS: I have the "Micro Power Supply too"
Over many years I've own a host of pedals from many different manufacturers. Great ones, awful ones. Yet value for money and quality of effects, I really rate the Mooer range. 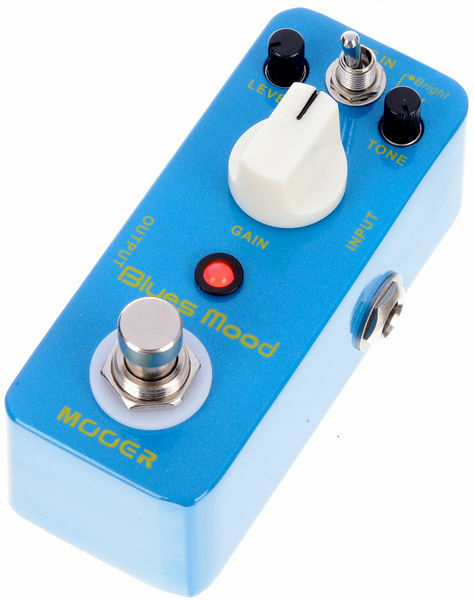 The Mooer "Blues Mood" is not a boost-only nor is it a distortion. Hovering somewhere between the two and erring on the boost+valve amp being driven, it's just perfect for the name it's been given. 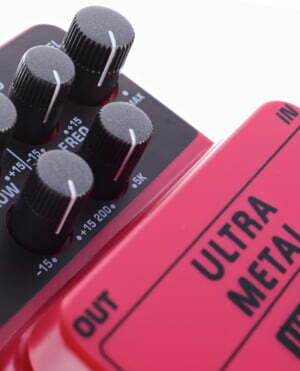 Controls feature a central "Gain" control, tone and pedal volume output, along with a "Bright and Fat" toggle. This gives a subtle midrange boost "Fat", which beefs up a single coil pickup nicely. The "Bright", accentuates the upper end with an added "cleanliness". Like my other Mooer pedals neither of these sounds is either woolly or scratchy. It's capable of some serious sweet spots and gives a quality of sustain like a valve amp being comfortable driven towards distortion. Back off the volume and it cleans up nicely. Using a Strat' I can get some classic 'tweed' sounds, along with the more modern 'american-amp' blues clarity! Love it! PS: If you are running a boost pedal - as I am - to give an enhanced signal to my straight guitar sound to start with, you'll find that placing this before the boost, as is often recommended, really does work the best. As an avid purchaser from Thomann, I'd like to say again thanks for the great team service of Thomann, speedy, goods always arriving safely and their friendly service! Iv rated Mooer products for quite some time now. All their products exceed quality, tone and durability. I am using a VOX Ac15C1 and its lovely. But I needed a bit of extra drive, punch and gain. Oh boy does this deliver! It oozes coolness. the dials are great, level, tone and gain. Oh, and not to mention the fat/bright switch situated at the top. The fat switch is ideal for any guitar sporting a single coil pickup. gives the guitar slightly more bottom end, and less brightness. Whereas the bright switch is a perfect companion for ay hum bucker. Les Pauls in particular. The tone dial adds a slight sweetness of smooth, almost clearer sound, and the level dial is the overall volume, but adds girt and drive along side the gain dial. All in all the pedal is great! great sound, really sturdy housing, definitely doesn't feel cheap, the dials are nice a smooth. Top pedal from a top company providing excellent customer service yet again! ID: 315657 © 1996–2019 Thomann GmbH Thomann loves you, because you rock!